Using multidimensional arrays and loops in C++ to to create various patterns. Dive into C++ and its multidimensional arrays and loops, and learn how to create various interesting patterns in this classic college exercise. Multidimension arrays can be difficult to understand for many students. But once the concept is understood, knowing how to use them is a breeze. 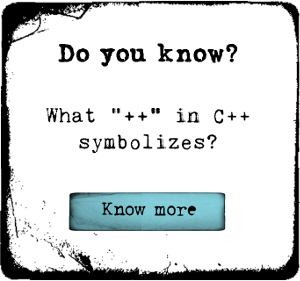 All these shapes will be create using an text input file, and printed into a text output file, giving you the additional practice of C++ language: C++ Input and output (C++ I/O), Input Validation and Decision structuring. So if you are stuck with C++ arrays, need a little refresher or hint, or just want to compare your solution with other programmer's approach, this short course is perfect for you.